At our house, we have a tradition of Sunday baking. We love lazy Sunday afternoons, and since I try not to do any “work cooking” on Sundays, it’s a day where where I’m generally more relaxed in the kitchen and my kids love to take on projects and help out. It’s something they look forward to, and something I hope they’ll always look back on with nostalgia. A couple weeks ago, my 10 year old passed me a note in church asking me what we could make that afternoon and I already knew it was going to be this Pumpkin Pull-Apart Bread. 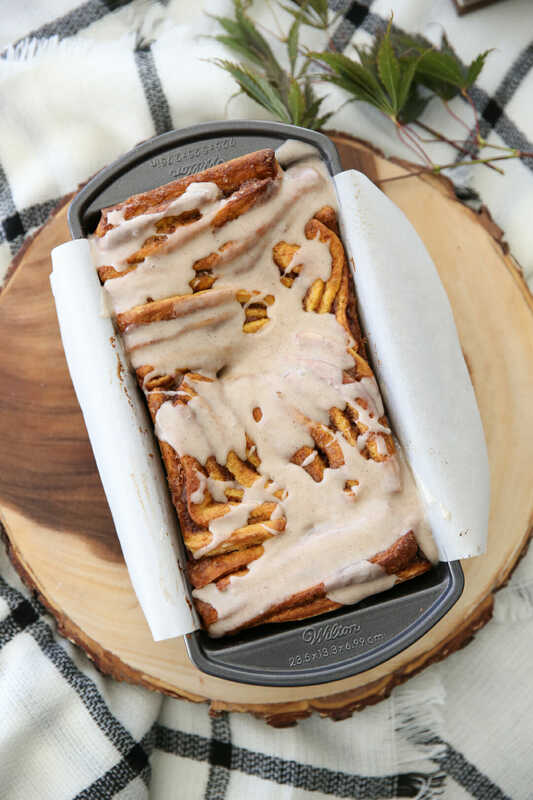 It’s like a fun, twisted pumpkin spice version of the average cinnamon roll. 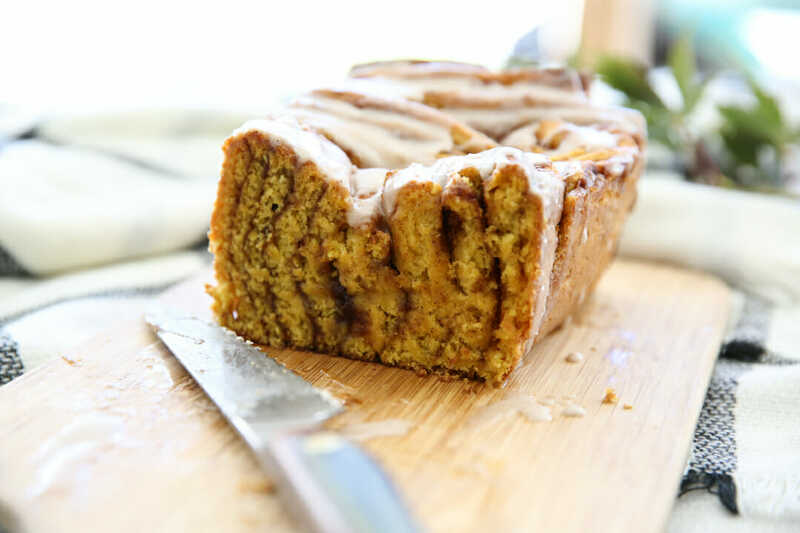 Instead of rolling up the tender pumpkin-spiked dough, you stack it into layers and squish into a loaf pan and it creates layers of gooey bread you can, well, pull-apart. 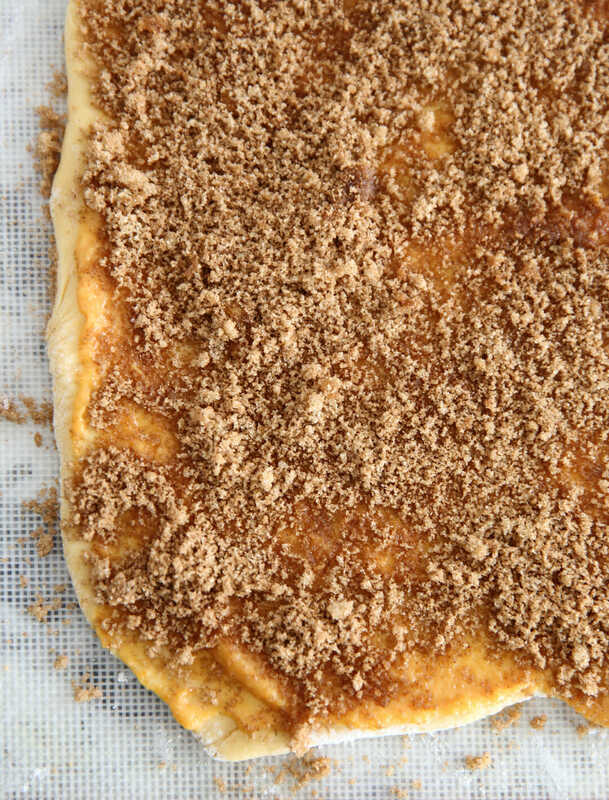 You start by making a basic sweet roll dough, but his one includes pumpkin right in the dough. 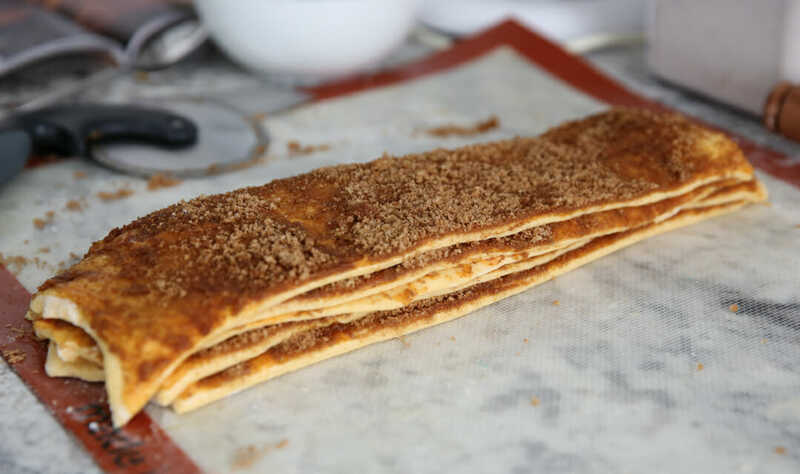 After it’s risen and rolled out, it gets another hit of pumpkin with a sweet pumpkin spread and then a sprinkling of brown sugar and cinnamon. Now, here comes the fun part. 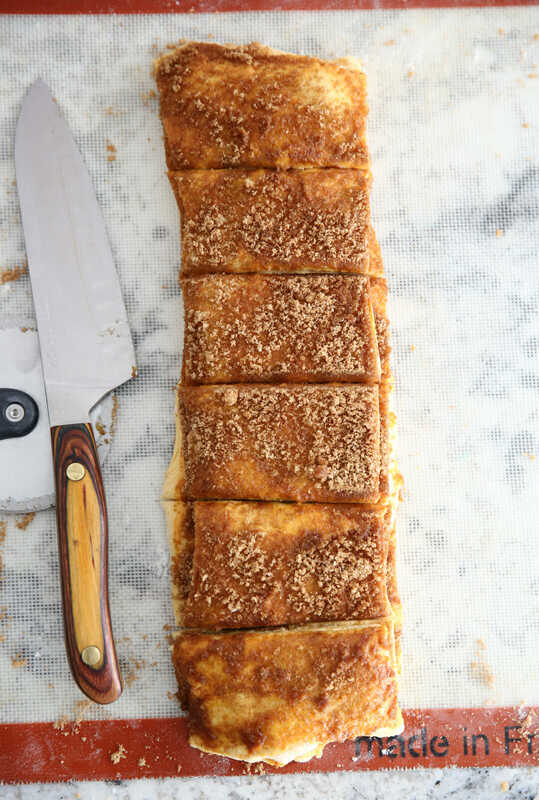 You’ll slice that big sheet of dough into 5 slices and stack them on top of one another. Then you’ll take each of those stacks and fit them into a loaf pan. Make sure to go a couple of different directions so they’re not just all lined up in a row. And drizzle it on when it’s just warm. If you slice into this you can see all the soft squishy layers with glaze seeping through. The filling is sticky and sweet and that mild hit of pumpkin is fabulous. The best part of pull-apart bread is actually pulling it apart. 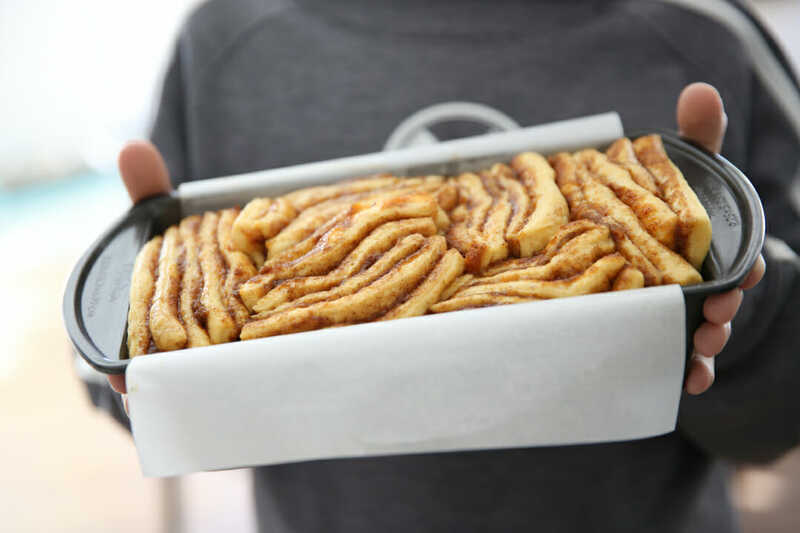 I hope you’ll take on this Pumpkin Pull-Apart bread at your house some time as well! 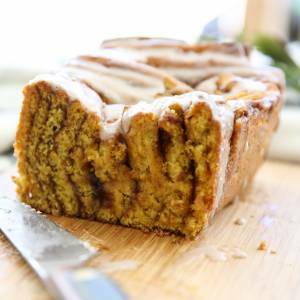 If you’re in the mood for more Pumpkin recipes, click here! 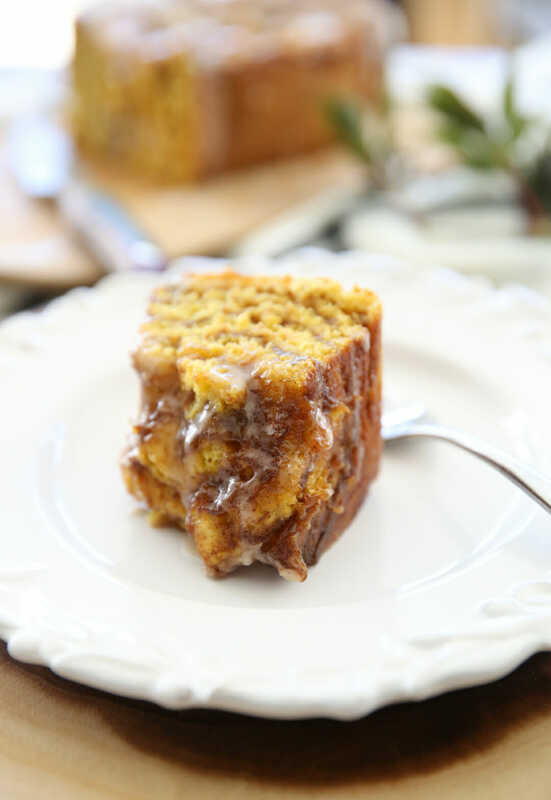 Tender layers of pumpkin bread with sweet cinnamon-sugar filling and a creamy glaze. In a small saucepan heat milk just until warm (105 degrees F to 115 degrees F). In a large bowl combine warm milk and yeast; stir to dissolve yeast. Let stand 5 to 10 minutes or until foamy. 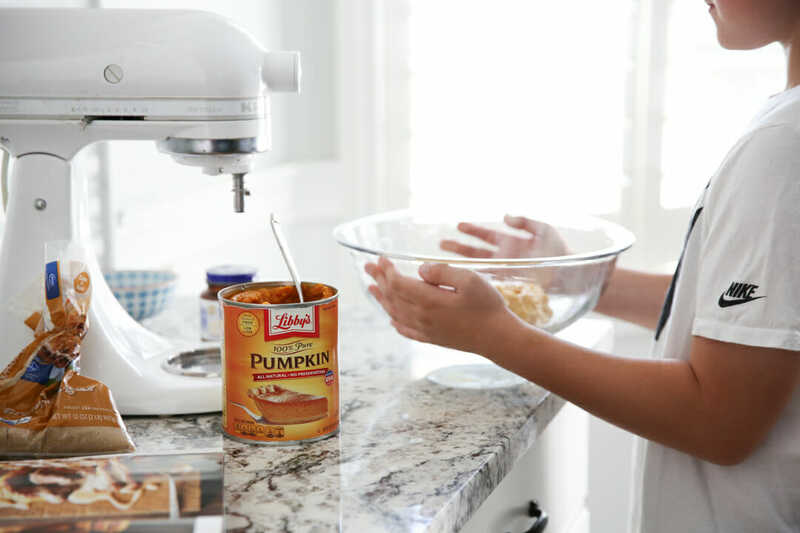 Add 1/2 cup of the pumpkin and next four ingredients (through salt) to yeast mixture. Beat with a mixer on medium until combined. Add half of the flour; beat on low 30 seconds, scraping bowl as needed. Beat on medium 3 minutes. Stir in remaining flour. Shape into a ball (dough will not be smooth). 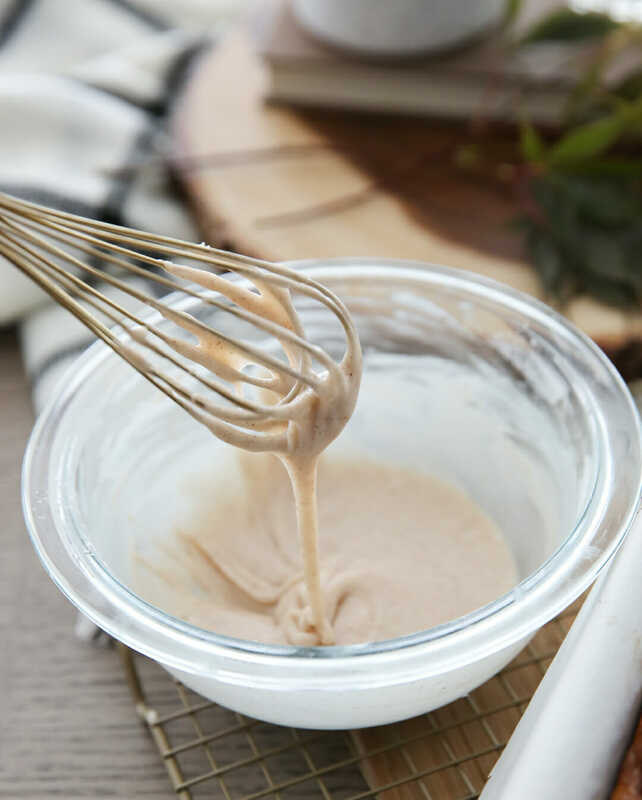 Place dough in a greased bowl, turning once to grease surface. Cover and let rise in a warm place until nearly double in size (45 to 60 minutes). Butter a 9×5-inch loaf pan. Turn dough out onto a lightly floured surface. Roll into a 20×12-inch rectangle. In a small bowl combine remaining 1/2 cup pumpkin and 3 Tbsp. melted butter; spread over dough. Combine brown sugar and cinnamon; sprinkle over pumpkin mixture. Cut dough crosswise into five 12×4-inch strips. Stack strips, then cut crosswise into six 4×2-inch pieces, leaving stacks intact. Loosely stagger pieces, cut sides up, in prepared pan. Cover and let rise in a warm place until nearly double in size (about 45 minutes). Preheat oven to 350 degrees F. Bake 35 minutes or until golden, covering loosely with foil the last 10 minutes if needed to prevent over-browning. Cool in pan on a wire rack 10 minutes. Remove from pan. 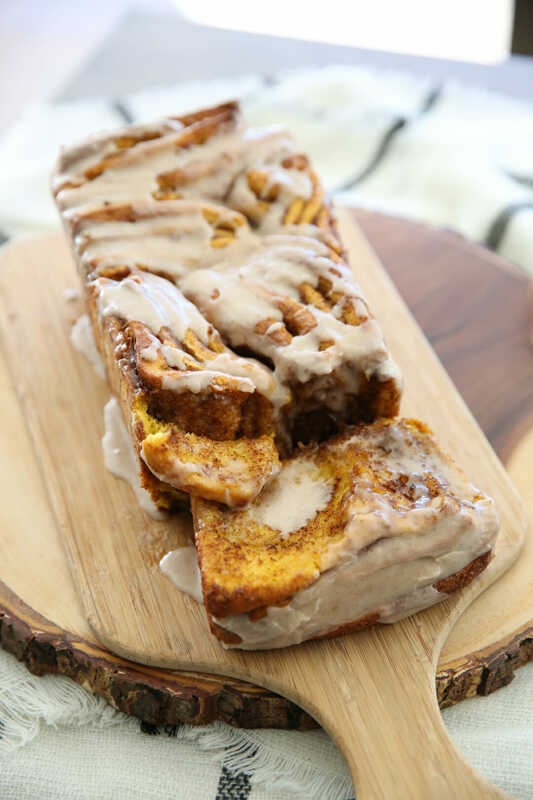 Drizzle with Cinnamon Glaze. Yum! 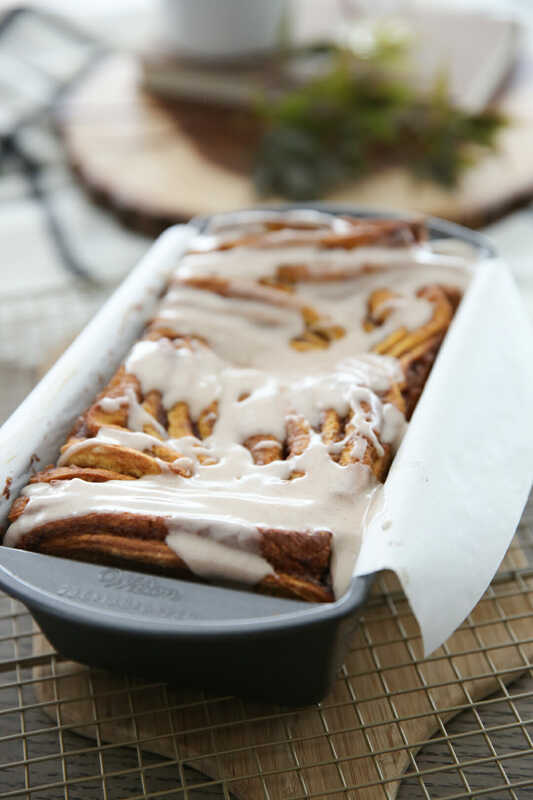 Your cinnamon rolls and orange rolls are a huge hit in our home! I can’t wait to try this! Do you think it could be made in muffin or popover tins to make individual servings? Ya, I think that would work! Making this for conference weekend! This looks awesome… Is there a make-ahead option on this at all? If it were me I’d prob cover and refrigerate right after it goes into the pan (before it rises again), then pull it out the next morning. This looks amazing. Any suggestions for prepping this ahead of time? It would be awesome to prep it on Saturday night, then bake on Sunday morning just in time for General Conference! I think you could cover it and put it in the fridge right after it goes in the pan. take it out the next morning to rise a bit and then pop it in the oven. What an interesting recipe! I even know what holiday it is possible to cook this delicious! Thank you for the recipe. And thanks for the great photos too! Made it yesterday. My family loved it! What a wonderful way to celebrate that it’s October! Do you think this would work if I made the dough in a bread maker? I’ve never tried that so you’d just have to try it out, but I think so? Hi! Have you ever tried using almond milk as a replacement in a bread recipe? If so, did it work okay? If not, what are your thoughts on whether it would substitute well? Thx! I’ve never done that, but I know other people use almond milk in bread recipes and I think it works just fine so I’d say go for it!